I'm so excited to tell you about one of my new favorite summer/fall wardrobe staples - the Hummingbird Pantsuit by Rabbit Rabbit Creations. 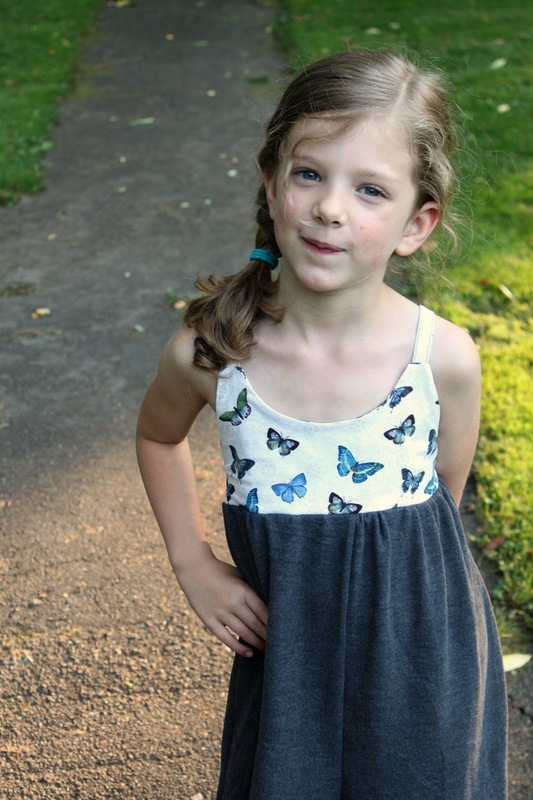 I'm sure many of you are already familiar with the Hummingbird Dress. I'd seen so many cute versions floating around the internet that I HAD to buy it myself. That bodice? Adorable. After making a few dresses, I saw there was a call on the Rabbit Rabbit Facebook page for testers for it's big sister, the pantsuit, and couldn't apply quick enough! 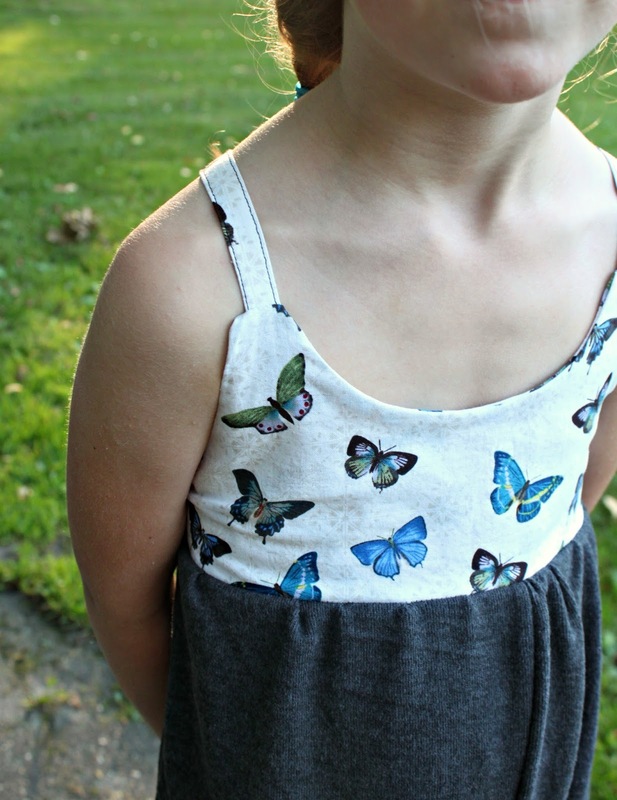 I'm so honored to have been picked to test such an adorable pattern, and it doesn't disappoint. I wasn't required to blog about it, I just love this pattern and wanted to share. Be prepared for an overload of cuteness. 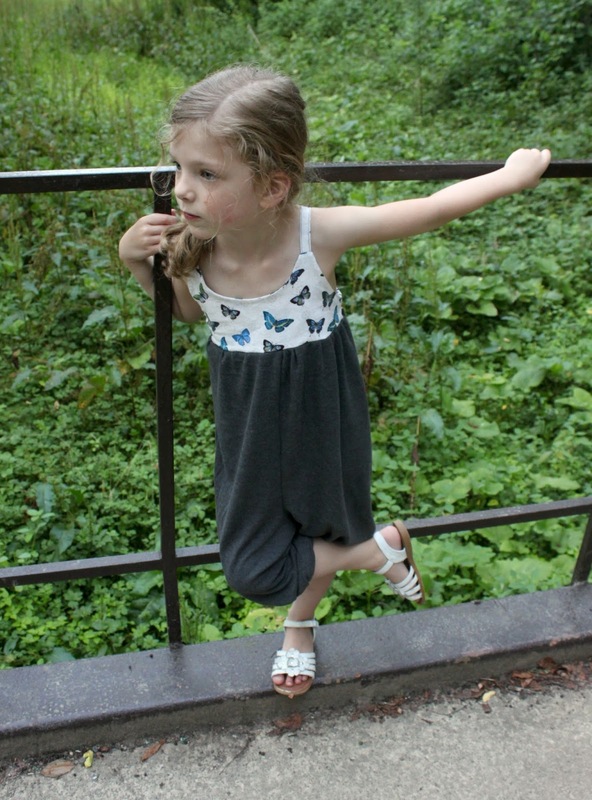 The Hummingbird Pantsuit is a gorgeous, easily personalized romper for older girls. You can make it completely from cotton, or if you have a child who is all about being comfortable I do, make the bottoms out of knit. I went for the cotton top and knit bottom for my first version, and we both absolutely love it. In the instructions, Jasmin makes it easy to customize the pantsuit for your child because hey, kids grow at different rates and one size sometimes does not fit all. 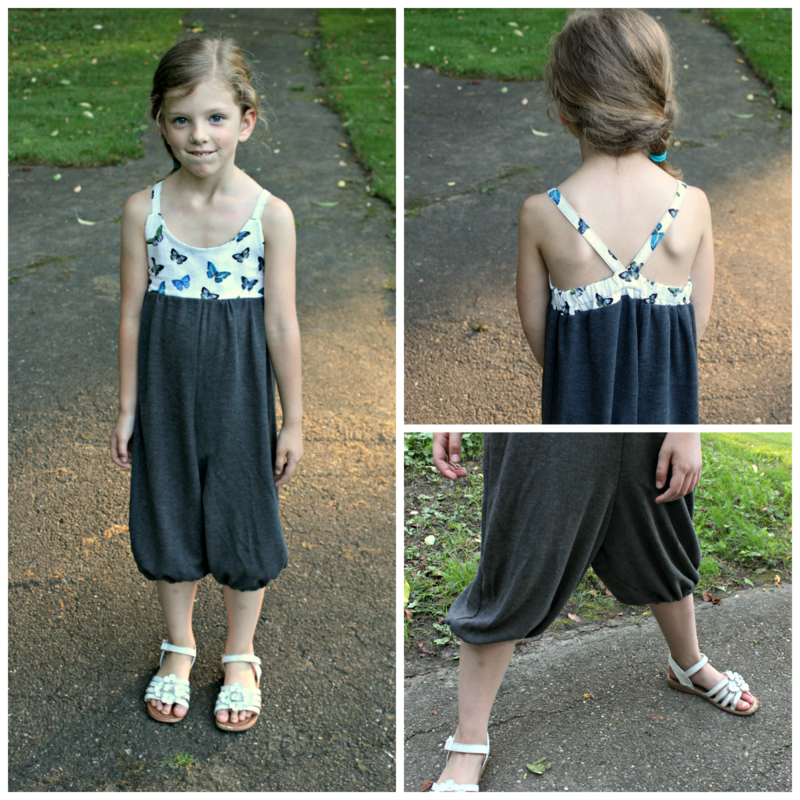 My daughter usually wears size 5's in RTW clothing, but she's in the 90% for height so many times pants are too short on her. For this pantsuit, I made the bodice in 5t and the pants in a size 6 and it fit perfectly. And, as you can tell, Haley had no problem modeling it for me. She's come a long way since I had to bribe her with chocolate chips! Check out this pose...I call it the "chance encounter." Ha! This kid cracks me up. Make sure to head over to Rabbit Rabbit Creations to get your Hummingbird Pantsuit. And, if you already own the Hummingbird Dress, Jasmin is offering the Pantsuit as an add-on for only $3! Yay!